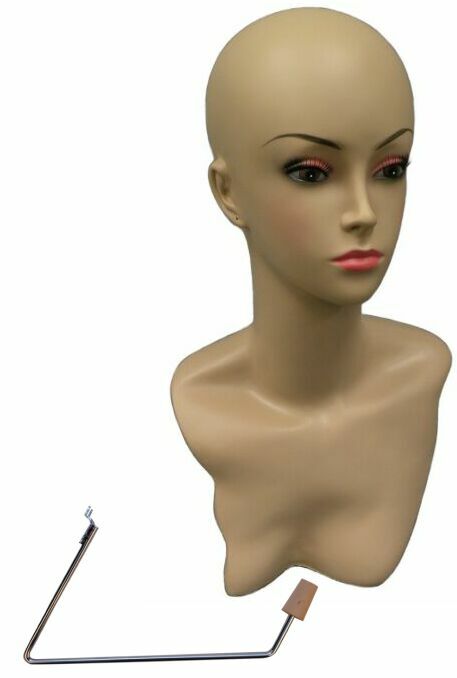 Attractive 18"H mannequin head with makeup, realistic eyelashes will make a great wig display, hats, jewelry display. Heavy duty holder bracket included for pegboard or slatwall display. Buy wig here Color: fleshtone.